A moderate district of the city, the section has earned a reputation for anything goes as long as business continues. Cainites have used the district for their own profits for years. After the riots of the Latin district, many kindred investments were simply forgotten or lost. So few remained that knew of every building or man in their pocket. With the arrival of Horus, a new set of trade shops have opened. A brothel business has been opened with high quality to low quality entertainment. Horus is known as the man to procure anything and everything a person could want. Crime has been moderate, but murders are on the rise. Curfews have been set for the dark of night (usually 10pm is the latest). 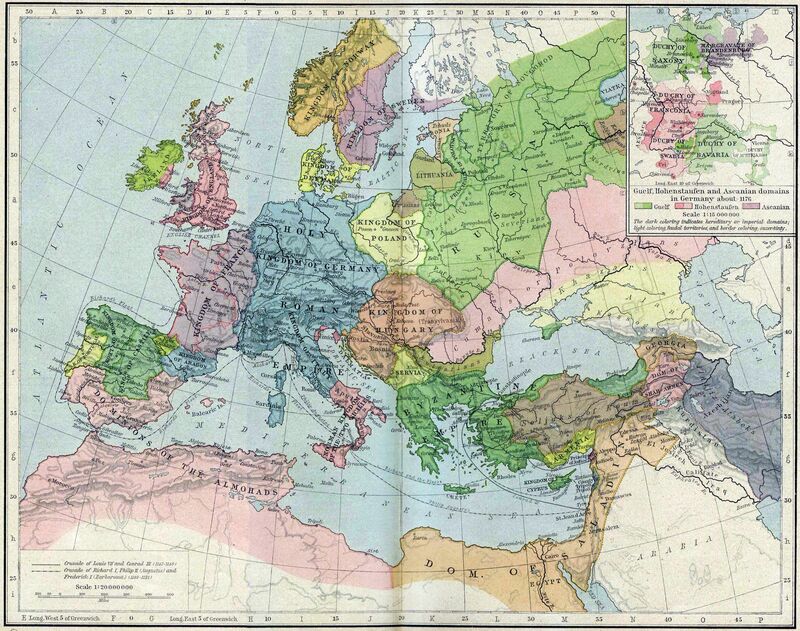 The main long-distance trade routes were from the Baltic and the eastern Mediterranean to central and northern Europe. From the forests of the Baltic came raw materials: timber, tar, furs, and skins. From the East came luxury goods: spices, jewelry, and textiles. In exchange for these goods, western Europe exported raw materials and processed goods. The English sold woolen garments, the Dutch offered salted herring, Spain produced wool, and France exported salt; southern Europe was also rich in wine, fruit, and oil. 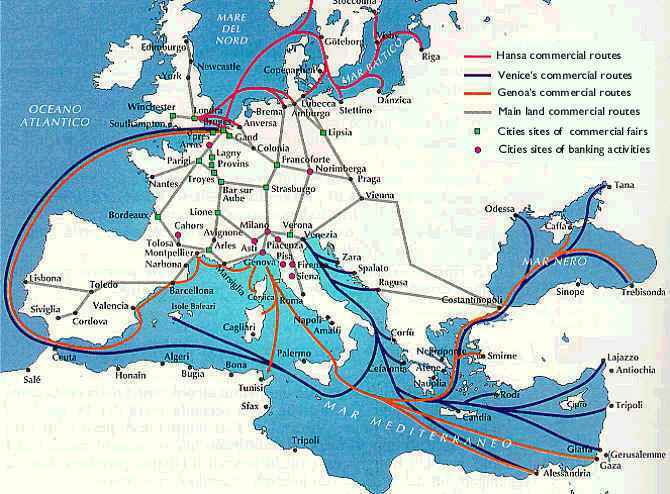 The Italian and German cities straddling these routes promoted and financed the trade. Nonetheless, throughout the Middle Ages, commerce between Europe and Asia was limited, because overland transport was expensive and because Europe possessed little of value for export to the East. In Northern Europe, the Hanseatic League, a federation of free cities to advance trade by sea, was founded in the 12th century, with the foundation of the city of Lübeck, which would later dominate the League, in 1158–1159. Many northern cities of the Holy Roman Empire became hanseatic cities, including Amsterdam, Cologne, Bremen, Hanover and Berlin. Hanseatic cities outside the Holy Roman Empire were, for instance, Bruges and the Polish city of Gdańsk (Danzig), as well as Königsberg, capital of the monastic state of the Teutonic Knights. In Bergen, Norway and Novgorod, Russia the league had factories and middlemen. In this period the Germans started colonising Europe beyond the Empire, into Prussia and Silesia. In the late 13th century, a Venetian explorer named Marco Polo became one of the first Europeans to travel the Silk Road to China. Westerners became more aware of the Far East when Polo documented his travels in Il Milione. He was followed by numerous Christian missionaries to the East, such as William of Rubruck, Giovanni da Pian del Carpini, Andrew of Longjumeau, Odoric of Pordenone, Giovanni de Marignolli, Giovanni di Monte Corvino, and other travellers such as Niccolò da Conti. Alfonzo of Lasombra/Latin District is paying a hefty tithe for another cainite remaining unnamed. 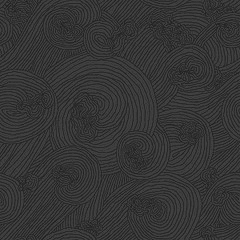 The business is a textile importer/exporter of fine cloth and furs. They tend to receive rare shipments of exotic hides. These are sent to craftsmen in another district for furniture and clothing. Malakyte of Nosferatu is paying tithes for the small Church of Saint Julian (saint of hospitallers). This is the small church of lepers run by Fra'Raymond. Khay'tall of Set is paying tithes for a spice trader stall in the great market, a restaurant/tavern of meager means, and one private residence without a business listed on it. Gregory of Ravnos/Hagia Sophia is paying tithes for a wagoneer craftsman, the renting of caravan grounds, and pays too much when he does. Perhaps to ensure the Ravnos are always cared for. He's a nice dude. An unknown cainite is paying tithes for a small farmer's market that is struggling.